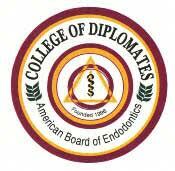 Learn about the latest in Endodontics for treating root canals and more from Dr. Angela Noguera, a TOP Endodontist from the DC Endodontic Center in Washington DC. Dr. Noguera is recognized as a TOP Doctor by Washingtonian Magazine and participates in the TOP Doctors Interviews as an Endodontic Expert and discusses the Benefits of Endodontic Treatments and how they can help restore your dental health. TOP Doctors Interviews can be seen on CNN Headline News, FOX News, CNBC and other TV networks. Dr. Noguera performs root canal treatments, tooth pain and offers endodontic treatments in a relaxed and spa like environment. Click on the link below to learn how CBCT helps endodontists to provide the best diagnosis and treatment options for the patient. The benefit of CBCT is that is reveals very small areas inside the mouth to find hidden structures, cracks and disease in and around a patient's tooth. Root Canal Treatment Step by Step is an animated video demonstrating what happens during a root canal procedure. Root Canal Retreatment Explained explains why a second root canal treatment is sometimes needed to save a tooth.